Baby’s Bonnette® is the first patented bonnet especially designed to prevent your baby’s ears folding over. It helps you hold your baby’s ears closer to the head. Ultra stretchable, it does not compress the head in any way and adapts to all babies from birth to 18 months old. Baby’s Bonnette® is a therapeutic device that can be used in a simple and safe way for your child. Helps correct folded over ears and protruding ears. Ideal to gently hold back baby’s ears while sleeping, Baby’s Bonnette® is cleverly designed to prevent baby’s ears from sticking-out. It offers your child a safe solution, keeping their ears in their natural position and fitting their head exactly for unique comfort. 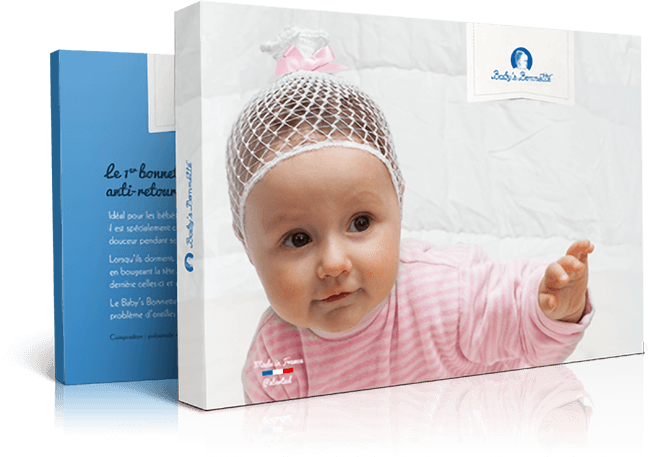 Baby’s Bonnette® The first bonnet designed to solve the problem of folded over ears and to prevent baby’s protruding ears. Baby’s Bonnette® is a therapeutic hat specially developed to hold back babies ears. Numerous tests have enabled and led to its suitability for all cranial morphologies from birth to 18 months old. Baby’s Bonnette® has been particularly designed for healthy baby ears. The materials used were rigorously chosen for baby’s comfort. Thus, the main fabric is ultra soft and hypoallergenic. No doubt baby will adopt it! Baby’s Bonnette® is breathable to keep baby’s scalp dry. 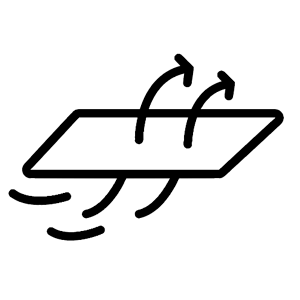 Baby’s Bonnette® evacuates the water vapour generated by perspiration through its loose weave. Thanks to the elasticity and softness of its knit, Baby’s Bonnette® offers great comfort to your child. Fully adjustable and superlight, Baby’s Bonnette® lays low! Baby’s Bonnette® makes itself look beautiful for your baby. It has a colourful, cheerful and elegant look with its small assorted straps and ribbons.